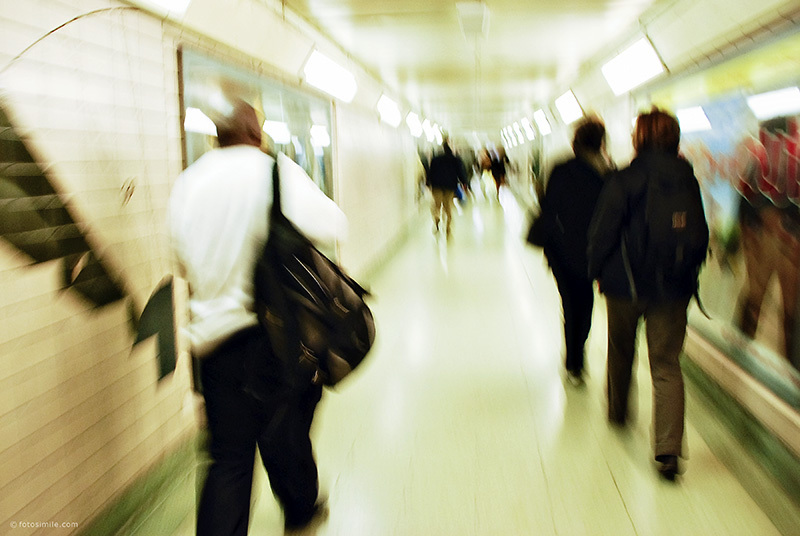 I took this photo "on the fly," trying to keep up in the London tube tunnels with my traveling companions (the two blurs on the right). I experimented on this trip with trying to capture motion, whether a black cab, the train or people on the move. I learned London is a city in motion and you have to jump into the stream or get passed by. Not only was taking the photo an experimentation, but also my post-processing of the image. I had recently downloaded the Pioneer Woman's free set of Photoshop actions and took this opportunity to play around with them on this image. I've used other 3rd party actions and would like to say I was highly impressed by the professional quality of how these actions were set up and the flexibility they give you with your final image. Kudos to PW! This is wonderful. And best of all, it looks exactly the way it feels. Thanks for sharing.